Can your web designer kick start your SEO in Ipswich? 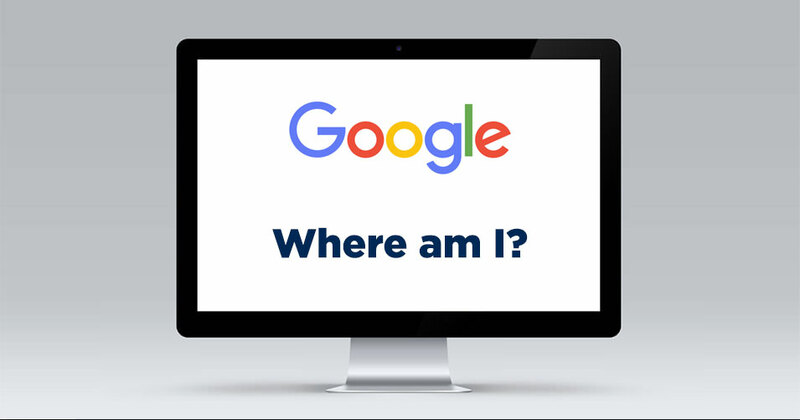 Can you find your website on Google? Without the baseline on-page SEO complete, a new website will have a hard time being found in local searches. Your local designer should be able to get your SEO off to a good start and get you ranking well for your locality. Maybe you have designed your site yourself and realised that your site isn’t performing well in local searches. Web designers will often work with SEO specialists, as search engine optimisation is now an important part of marketing your business. Without a doubt an SEO specialist is going to take your online presence to the next level. However, when looking to engage a web designer be sure to check that they can kick-start your SEO. As a minimum for localised searches, this should be easily achievable. If you can’t find your website on Google, find out why. If you have had a new website created by your web designer, ask them if your site has been registered on the most commonly used search engines – usually Bing and Google. If your site has been created in WordPress, this is easily checked in the backend by looking for SEO plugins, whether Yoast or All-In-One SEO. These plugins will have the search engine verification codes in their dashboards for you to see. Or, you can look up a plugin checker like this one here to see which plugins have been used on your site if you do not have access to the back end. Use it to analyse the competition and use that information to help you make improvements. Is Your Website Big Enough? Your website should be written with relevant keywords on each page to attract both search engines and humans alike. The homepage is the most important page on your website as it is often displayed on search results on more than one page. The homepage must capture your key areas of business in eye-catching easy to grasp messages that use keywords for those services. Google likes pages, the more the better. Some thought needs to be given to creating a handful of relevant pages that contain intelligently written copy. Without sufficient text and good content, your site will not feature so well in search results. Good content is key to a well optimised site, but it will also need to attract humans, the site needs to be easy to use and navigate, if you are thinking about your first website read more on this subject here ⇝. A well thought out site is more likely to attract sales, your aim should be to encourage users to contact you. Think about how you can make your website more successful with a clean layout and a well structured, logical approach. When choosing a web designer for your business, search for local web agencies and see which come up high in the search results, this should give you a good indication on how well they have presented their own SEO. There may be different phrases used than the ones you are using, so explore a few variations. Beware of companies promising to get you in the number one position, Google search results change almost daily, and your site will go up and down over the weeks and months. Don’t try to hoodwink Google, use white hat best practice and logical optimisation that will continue to work in years to come. We have got a client out of a Google Penalty in the past. A web designer should be able to get you out of some simple penalty situations, however, for severe cases we recommend an SEO specialist for this type of problem. Remember, great SEO provision needs continual monitoring and work, getting it off to a good start should not be out of the scope of a good web designer. If you want to have a chat with us about your website, or need assistance to kick start your SEO in Ipswich, please give us a call on 01473 487699, or contact us here ⇝. 1 Pings/Trackbacks for "Kick start your SEO in Ipswich"